After considerable agonising over trans-national Muslim affinity, and avoiding criticising any single party, the time has come to say it: if Arab cultural fetishes and monarchical paranoia are not actively combated by Muslims worldwide, they threaten the trans-national fabric of the Ummah (Global Islamic Community). This is a rather lengthy article and needs some background in Islamic history and terminology and I will do my best to explain any exotic terms as I go along. Let us take a quick sweeping view of state of democracy in the Ummah: Differing hues of democracy thrive in Indonesia, Iran, Malaysia, Turkey, Pakistan and Bangladesh – the most populous Muslim-majority countries. Pakistan squeaks by luckily, having drawn a constitution in 1973, before the oil-fuelled Wahhabi influence on Pakistani Sunni clergy. Pakistan has amended its constitution forwards and backwards but it holds, and if Pakistan were to draft a constitution today, it would be akin to the Egyptian farce we have just witnessed. Turkey’s Islamist government was rudely reminded that Islamist politics must provide justice, equality and development and not obsess itself with Arab cultural hypocrisies. Indonesia and Bangladesh have been rocked by Gulf-funded Wahhabism but will remain stable. Iran has its own peculiar stable democracy, and Central Asian and African Muslim states are not relevant to our discussion here. The lesson is being quickly learnt: Islamist politics should be politics inspired by Islamic ideals, and not a veneer of politics to implement historically discredited Arab cultural norms. Islam was born in Arabia and Arabic is its language, but Islam is to Arab culture what Buddhism is to Indian culture or Christianity is to Palestinian culture. Almost a century after the transition of custody of the Holy Places (Mecca and Medina) from the Turkish Ottomans to the indigenous Arabs of the Peninsula, we are forced to bitterly remember why Arabs lost that leadership in the first place. Islam must once again transcend Arabic culture to achieve modern political cohesion as oil money has allowed the Peninsula Arabs to have the luxury of regressing to pre-Islamic ignorance – which may work well in their oil-financed tribal culture but is rocking the rest of the Ummah – normal Muslim who have to work for a living, have real rational discourse, have freedom of the press and whose women are equal citizens. What really stinks is the rank hypocrisy of Wahhabism: sell Muslim masses the pipe dream of an ancient-style hard-power empire while using considerable modern soft power to undermine commonality of purpose for narrow personal gains. Summary argument: The Peninsula Arab has failed to overcome pre-Islamic notions of tribal superiority, family monarchy, and control of women. Oil has allowed him to continue this pre-Islamic culture, but he must not be allowed to bring down the Ummah just to legitimise these cultural fetishes. Wahhabism is a pseudo-religious political establishment that is a malignant form of benign salafism (fundamentalism). It only exists to serve entrenched power structures and further prehistoric Arab cultural norms that the Prophet of Islam quashed 1400 years ago. It owes its name to a Muslim religious scholar, but as a modern political tool, it has little extant relation to him. In Saudi Arabia (home of Wahhabism), minorities and women are treated worse than they were during the first century of Islam. Wahhabism promotes monarchy and declares democracy incompatible with Islam. It is perhaps as well-funded as the Catholic Church and tries to evangelize to non-Arab Muslim populations. It fails the litmus test for a bona fide religious entity: Wahhabists are rarely seen serving the poor or the oppressed, or speaking truth to power. Western governments love Wahhabism:* *it can be used to first raise jihadis and when they multiply too fast, it can draw them out for target practice and drone fodder. It can be controlled via the notorious pact between the Saudi royal family and the Wahhabi elders – the pact that was the foundation of the modern Saudi state. In just a few weeks, it can be tilted against Iran and all Wahhabi-funded mosque sermons around the world will rail against Shia Muslims and start calling them infidels. Or, it can be coaxed to keep alive the spectre of Jesus descending in Damascus and send hordes to go fight Assad in Syria. And, it can keep the hope of the mythical Mahdi appearing in Khorasan (Afghanistan area) by declaring Pakistan to be part of the historic Khorasan (historical untruth), motivating hundreds of suicide bombers to destabilize Pakistan. This nefarious political influence of transnational Wahhabism has to stop. The good cop, bad cop routine of Saudi royal family and the Wahhabi clerics must stop. While I can see the religious *salafism *of the Wahhabis as acceptable, and I can also visualize their zealous evangelism as a positive in certain ways, their four decades of mongering the imminence of the Islamic Armageddon to gullible Muslims for political and clan benefits reeks of the tactics of the Hasheesheens (Assassins) or the modern-day Qadiani Ahmadiyya (a Messianic religion that is an off-shoot of Islam). Wahhabism is now penetrating the School of Deoband in India and the Maududite Islamic parties of India, Bangladesh and Pakistan. In Egypt, it is penetrating Al-Azhar and it very shrewdly outflanked the Muslim Brotherhood, resulting in the Brotherhood veering off its political course and self-destructing. How? The standard modus operandi: first, ultra-right political parties influenced by un-official Saudi Wahhabism pushed the Brotherhood right. The Brotherhood, due to a lack of sane leadership, fanned sectarianism and intolerance in one of the most tolerant Muslim countries. Then, the official Saudi government, accompanied by indecent applause and plane-loads of cash from Saudi Arabia, sent in the army and the exiled oligarchs back to power. The only problem the Saudis have with the Brotherhood is the threat to their absolute monarchy. Otherwise, Saudi universities have employed Brotherhood Egyptians for decades. Wahhabism exerts tremendous pressure on Muslim scholars and public through its Arabian roots, affiliation with the Two Holy Cities in Saudi Arabia, and of course, its funding. In the United Kingdom, it has turned normal Muslim clergy into Shia-haters and fundraisers for anti-Assad forces. Muslims in the United Kingdom cannot speak out openly on anything remotely against its wishes. Nobodies like Yours Truly are harassed and vilified just because I will not call Shia as *kafir *(infidel) as I recall our Muslims elders and scholars teaching against that. 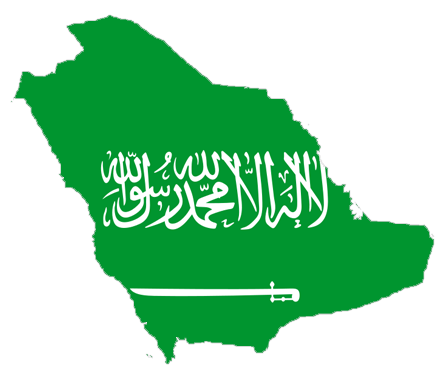 Wahhabism only serves one master: the House of Saud — which are the incumbent and legitimate Guardians of the two Holy Cities. No one challenges that specific legitimacy, and we respect it. However, as long as the House of Saud balanced its role as the leader of the Muslim world against its narrow interests, all was fine. The balance has started to tilt, and the Saudi royals are tilting against anyone that wants to have an independent existence – be it Qatar, Iran, Egypt or Iraq – or even Pakistan. It is a sign of the impending death or radical change of their monarchical system – but why do the rest of the Muslims have to suffer while they go through long-overdue pains of entering the modern era? Although ibn Khaldun (medieval philosopher of sociology) uses the term in its positive sense, the Prophet is repeatedly quoted as equating it with pre-Islamic ignorance and defining it as ‘committing injustice to others in the favour of one’s tribe’. Wahhabists manufacture enemies by dragging wheelbarrows of ancient Apocrypha to support hatred of the other, forgetting the injunction of never being unjust. Their enemy-du-jour can be Saudi Shias, Qataris, Soviets, and Americans – whatever the political expedience states. It will also not allow them to accept the authority of Al-Azhar (and others) in Egypt over the highly inter-twined and anachronistic schools of jurisprudence in Saudi Arabia. Of course, the latter are Wahhabi-funded. As such, it is the single biggest force of ignorance in the Muslim world. Non-Arab Muslim scholars are rarely acknowledged in the modern Arab world – something that was commonplace for the last few hundred years. This is proof enough that the wrong type of *‘Asabiyyah *increases with mineral wealth! It keeps alive clan rivalries that have persisted for 1500 years and are one-half of the fault-line between Shia and Sunni denominations (I don’t call them sects). Even when the highest Shia cleric – Ayatollah Khamenei – denounced the centuries-old rivalry and issued a historic fatwa (edict) about historic Sunni personalities, the Wahhabis were strangely silent. Al-Azhar appreciated it. The only thing for Saudi Arabia to fear about Iran now is the stable Iranian flavour of democracy that has managed to survive despite Western sanctions for decades. The dark side of this practice marginalizes and distorts any freshness of thought in the Muslim world – sometimes at the peril of the life of the writer. As I write this, I am acutely aware of this. The Muslims of the world can keep accepting this intellectual and cultural yoke of the Saudi Wahhabis or break free. There are many other ugly aspects of this feature that I will not discuss here but they are adding to the Saudi paranoia: treatment of immigrants, servants, etc. When the Prophet allowed women the historic rights to seek divorce, to make their own choices in marriage and business, and prescribed inheritance for them, Arabs squirmed. Their tribal culture was threatened. Since then, some Arabs have succeeded in dragging their women back into the pre-Islamic ignorance. Wahhabis still squirm! The Prophet spoke logic and eschewed the prevalent *Sunnah *of the time – which was the blind following the practice of ancients. Yes, the word *Sunni *is from the same root — meaning to follow the Prophet’s practice — but in the Wahhabi context, it has extended itself back to the ignorant ancients, instead of the honourable Sunnah of following the Prophet. Committing the worst form of intellectual dishonesty, the *Wahhabi *machine produced the most archaic and far-fetched interpretations back into mainstream Islam for consumption by Muslims everywhere, and exerting peer pressure on Muslim women. It is a great tribute to the inherent Islamic respect for women that women continue to outnumber men as converts to Islam, but it is also a real fact that when targeted, Muslim women in Wahhabi-dominated areas generally succumb to the pressure or suffer in silence – or leave the community behind. A personal example: My wife volunteered as a greeter for the Olympic Games, and a nasty video of her was circulated until the police got involved. The sub-title of the video: How can her husband talk or write about Islam while she volunteers for the infidel**Olympics. The cleric who urged the goons in Newham was the Wahhabi Mufti Wahhab (co-incident name), who is a well-known host of Iqra Channel on Sky TV. The Wahhabis, true to their extremist teaching, have no morals and no affinity to any ‘non-Islamic’ criterion of truth. The Taliban in Pakistan are indiscriminately killing Pakistanis and are different in nature from the Afghan Taliban – who are fighting for their lost rule and have had no problems with Pakistan. Who are these home-grown terrorists in Pakistan? The more I dig, the more I find Wahhabi-inspired clerics protected by Saudi-aligned political parties: the Jamaat-e-Islami (JI) and the PML-N. Listening to their indoctrination lectures, and reading their mailings, it is apparent that the Saudi Wahhabis are promising these parties Islamist rule once the Taliban ‘win’, and all this is couched in Mahdi mythology peddled as religious doctrine. Alarmingly true to this philosophy, Munawar Hasan, the leader of the hitherto Brotherhood-like JI refused to condemn the killing of Shia civilians in a Taliban attack, strangely invoking American drones. Despite prompting by the interviewer, he refused. Similarly, after coming to power, the Prime Minister has promptly offered ‘talks’ with them. No police officer can arrest a Talib in Pakistan, and no judge in Pakistan can sentence one without risking their lives. During this past Ramadan, Pakistani TV channels made a point of inviting Shia scholars on to TV shows in a pointed rebuke to Wahhabi- and Saudi- funded anti-Shia violence in the country. It was a good indication of non-Arab Muslims starting to break away from the yoke of Arab robes, red/white chequered headdresses and flowing Arabic rhetoric in the Najd accent. A visit by the Prime Minister, Nawaz Sharif, to Saudi Arabia, and things are starting to get hard for the media. The Sharif family runs Punjab, and the Pakistani Taliban cannot be prosecuted there. Like Iran, Pakistan has a rich intellectual history and the next generation is markedly more religious but recognizing both American opportunism and *Wahhabi *extremism as disturbing forces. The promise of Wahhabi-inspired al-Qaeda-style Islamic glory is giving way to practical and real progression. We should support these young people. Democracy is always flawed and continuously evolving to cater for the incumbent culture and history, and Muslim countries are no exception. However, the tyranny of despotism is that when cornered, it cannot differentiate between its narrow interests and the interests of the state. In the case of the Saudis, we can extend this to the interests of the Ummah. The Saudi monarchy must stop this wholesale export of Wahhabi ignorance and extremism and break its founding pact with the Wahhabi clergy. If not, when it becomes the next target of cruise missiles – after the neutralization of Iraq, Egypt and Syria – it will have no friends left. Iran will never be a threat to Saudi Arabia, and both Pakistan and Iran will survive the current Middle East Rampage as they have indigenous human capacity and a minimum of civil liberties that are required for independent states. The eventual dismemberment of the Saudi regime will not be a good thing for anyone. However, it is inevitable as Wahhabism will not allow Saudi Arabia to have internal intellectual capacity for a first-class independent state. Letting Saudi paranoia destroy neighbouring societies and states, and then using Wahhabi-generated jihadis as drone and tank fodder might have short-term benefits, but the West must stand up to the dualism of Saudi Arabia to protect its own long-term interests. The wet dreams of American Islamophobes – GI boots in Saudi palaces and the Grand Mosque of Mecca – God forbid may come to pass, but this catastrophe can be avoided. And now, the ball is in Saudi Arabia’s court. The youth of the Ummah are watching closely. There, I have said it.